Brick History is a whistle-stop tour of the last 13.8 billion years, from the Big Bang all the way through to the modern day (though it’s fair to say that we don’t include much from the first 13 billion!). 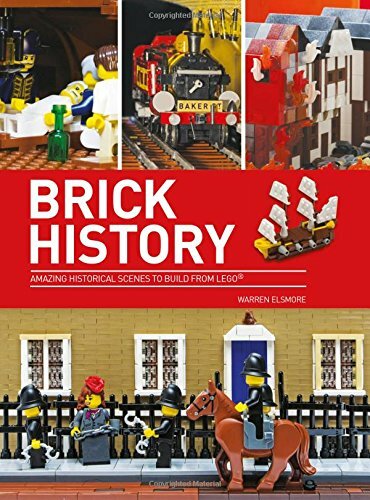 In this book I use LEGO bricks to recreate some of the most iconic moments in time whether they are changes in the way we look at ourselves or the natural world. In Brick History, we’ve tried to identify 70 or so key moments in our history on this planet. We start with the start of everything – the Big Bang. Then we move on through prehistory and the dawn of our civilisation. As the first chapter continues, we look at the explosion in trade, the increase in knowledge and the start of modern politics.